The molded in measurements on both sides are shown in metric gradations as well as standard American measurements. The cup handle and the cup itself are virtually unbreakable, and the measurement gradations on the sides will not wear off. The cup is dishwasher safe, and will not be harmed by any normal food products that it might have to contain. 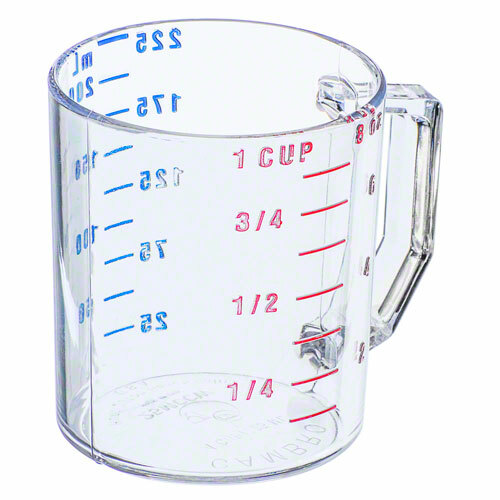 This is a very durable and long-lasting measurement cup that will prove to be a must-have in any kitchen.